The Sheikh Mohammed Centre for Cultural Understanding (SMCCU) is based in the Bastakia Quarter of Dubai and was established with the aim of removing the barriers between people of different nationalities and to raise awareness of the local culture, its traditions, customs and Islam among foreign residents and visitors. They do this by organising numerous tours and activities. 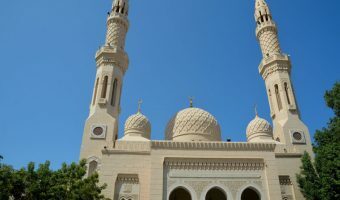 Jumeirah Mosque is the only Mosque in Dubai open to non-Muslims. Visitors must be accompanied by a SMCCU guide. Tours are every day (except Friday) at 10 am. No booking necessary. Appropriate conservative dress required. The meeting point is outside the Jumeirah Mosque. Experience a traditional home made U.A.E breakfast in the ambience of the SMCCU’s centre, a typical wind tower house in the Bastakia quarter. The breakfasts are held on Mondays and Wednesdays at 10 am. Bookings required. A traditional tour of the historical Bastakia Quarter. Bookings are essential. Enjoy a freshly prepared lunch of local dishes with an explanation of the region’s tradition and culture by a UAE national. Every Sunday and Tuesday at 1 pm. Bookings required. Arabic language course are held on a rolling basis. Contact the centre for more details. VOX Cinemas BurJuman (0.7 miles) - 14-screen cinema at the BurJuman shopping mall. VOX Cinemas City Centre Al Shindagha (0.8 miles) - 7-screen cinema at City Centre Al Shindagha. 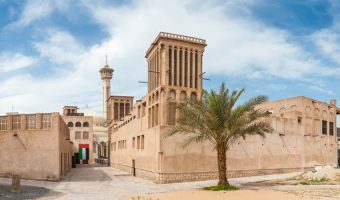 BurJuman (0.8 miles) - Located in Bur Dubai, BurJuman is a classic, family-friendly community mall with an eclectic mix of stores to suit every taste. City Centre Al Shindagha (0.9 miles) - Shopping mall in Al Shindagha. Stores include Carrefour, Babyshop, Max, and Splash. Arabian Tea House (0.1 miles) - Outdoor cafe in Bur Dubai. Relaxed courtyard setting with tables shaded by canopies. Offers more than 100 varieties of tea from all corners of the globe. Food menu includes Arabic breakfasts, salads, sandwiches, and BBQ dishes. Creekside Japanese Restaurant (0.8 miles) - Japanese restaurant at the Sheraton Dubai Creek Hotel and Towers in Deira. Buffet nights feature various Asian cuisines. Terrace offers good views of the Dubai Creek. Al Fahidi Metro Station (0.5 miles) - Metro station on the Green Line. Al Ras Metro Station (0.6 miles) - Metro station on the Green Line. Baniyas Square Metro Station (0.6 miles) - Metro station on the Green Line. Al Ghubaiba Metro Station (0.7 miles) - Metro station on the Green Line. Palm Deira Metro Station (0.8 miles) - Metro station on the Green Line. Sabkha Abra Station (0.3 miles) - Abra dock on Baniyas Road in Deira. Dubai Old Souk Abra Station (0.4 miles) - Abra dock at the Old Souk. 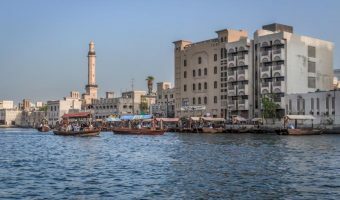 Bur Dubai Abra Station (0.5 miles) - Abra station on the southern side of the Dubai Creek. Map showing location of Sheikh Mohammed Centre for Cultural Understanding. I would like to enroll for Arabic classes. Kindly provide me with further information. This is a great tour where you get to learn a lot about Arab culture. Good explanations were provided and all questions answered. Just a quick update on the information above on the programmes offered by SMCCU. Jumeirah Mosque visit is at 10am every Saturday, Sunday, Tuesday and Thursday. 10 AED pp, no advance booking required. Cultural Breakfasts are every Monday and Wednesday at 10am. 60AED pp, advance booking is essential. Cultural Lunches are every Sunday and Tuesday at 1pm. 70 AED pp, advance booking is essential. 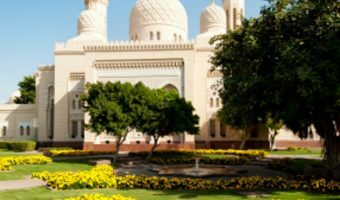 Bastakiya Walking Tours are operated on a frequent basis upon demand. Booking is essential. NO NOT SHOW UP WITHOUT A BOOKING as the schedule is subject to change. Spoken Arabic Courses are held on a rolling basis. Please contact the centre for more details. Please contact smccu@cultures.ae or 04-353-6666 for booking information. Excellent job with the informative images and small descriptions of Islam and Muslims that are placed in several malls around Dubai. This is a tiny mistake in one of the pieces I was reading that might confuse many people so if possible make the change. One of the slabs should say "through the angel Jibrail" rather than "though the angel". I spotted this mistake at festival city shopping mall (near second cup). 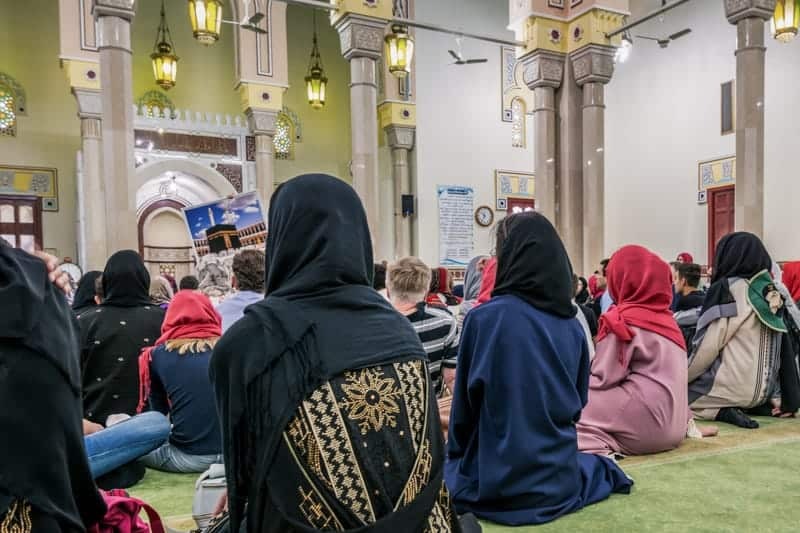 The Jumeirah Mosque tour with the Centre for Cultural Understanding costs dhs 10. Don’t forget you’ll have to cover up. You can also just turn up, there’s no need to book. The best known and most beautiful mosque in the city. Organised tours offered by the Sheikh Mohammed Centre for Cultural Understanding.